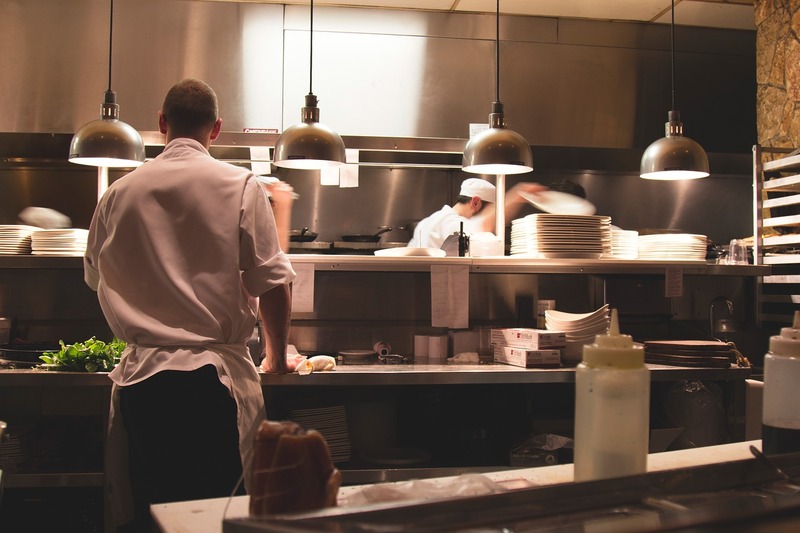 Lloyd Catering Equipment prides itself on delivering outstanding projects for some of the nation’s largest restaurant brands. Providing innovative solutions for professional kitchen equipment and installing commercial kitchen equipment, the company is passionate about the industry it operates in. Utilising the latest of technologies to truly advanced the industry and what the company does, Lloyd’s has now launched a VR (Virtual Reality) system which allows clients to explore what their physical installation will be like. This state-of-the-art technology delivers on the aim of showing customers how their finished kitchen will flow and what it will feel like to work in by allowing them to actually walk around the designs. After 2 years of researching and developing this offering – The company is truly at the forefront of helping clients achieve exactly what they envisioned with their catering kitchen design. Starting life in 1956 as E Lloyd & Son on Corporation Street in Sheffield, the modern day business has maintained its core values of not compromising and always paying attention to the smallest of details whilst progressing as a company and modernising to thrive in the world the company has found itself in. Famous for the production of stainless steel cutlery, Sheffield provided the perfect industrial base for the company to start life. Lloyd Catering Equipment is one of the most established commercial catering equipment companies in the United Kingdom, and after working in their industry for so long it’s little wonder that some of the biggest brands in the country such as Nando’s, TGI Fridays and Beefeater have used their catering kitchen equipment services. It was in the ’70s that nationwide restaurant chains started becoming successful, and the company used this growth in popularity to start gaining the trust of breweries and independent companies who were keen to develop well-known brands lead by their food offerings. 60 years of life on the whole and Lloyd Catering Equipment isn’t slowing down, the company still provides the best service. From finding out the client’s vision, guiding them through the design and project fulfillment stages, all the way to servicing and aftercare at the end of the entire fitting process – the company always aims to deliver to customer expectations on every level. Lloyd Catering’s work is never done, providing excellent aftercare and making it their job to get the client’s businesses back up and running in the swiftest fashion in the event of any equipment failure. Lloyd Catering has always been at the forefront of cutting edge technology, expressing the belief that technology can and should enhance the work that they do. One of the companies largest and most significant investments to date was the full adoption of computer-aided design (CAD). Before even Microsoft’s Windows had hit the market, it was in the ’80s that Lloyd’s invested in RoboCAD, a DOS-based system that was produced by Robo Systems International. They were one of the first in the industry to implement such technology and, with inflation taken into account to make it understandable in terms of today’s valuation of money, around £50,000.00 was invested in this technology. The business continues to fully utilise the very latest in CAD technology, using such tools to allow for the creation of 3D photo-realistic images to give the best possible presentation of what their design team has come up with for the client. The highly skilled team of designers have many years of experience and their depth of knowledge of the industry allows them to create long-term solutions that will provide value and a lasting return on the initial investment. Following a period based in Sheffield’s Stanley Street, Lloyd Catering is now Rotherham based but continues to provide high-quality commercial kitchen appliances and their service is second to none. Providing a project manager to be the single point of contact throughout an entire project, client’s are, as always, trusting of the company and its ability to deliver their vision to the highest of standards. This is done through the use of years of experience and knowledge of creating the ideal working environment. If you’re looking for commercial catering equipment in the UK, Lloyd Catering Equipment can deliver upon your every need to a high standard. You’ll be guided through every step of the process and examples of previous projects delivered demonstrate their capacity for achieving excellence in restaurant supply.